Here's a quick postcard for you about trollers and gillnetters in Southeast Alaska. Hand troller bringing a fish in Sumner Strait near Port Protection. An array of plugs and hoochies for trolling. The "Astri" making a turn near Wrangell. A bowpicker gillnetter near Wrangell Island. 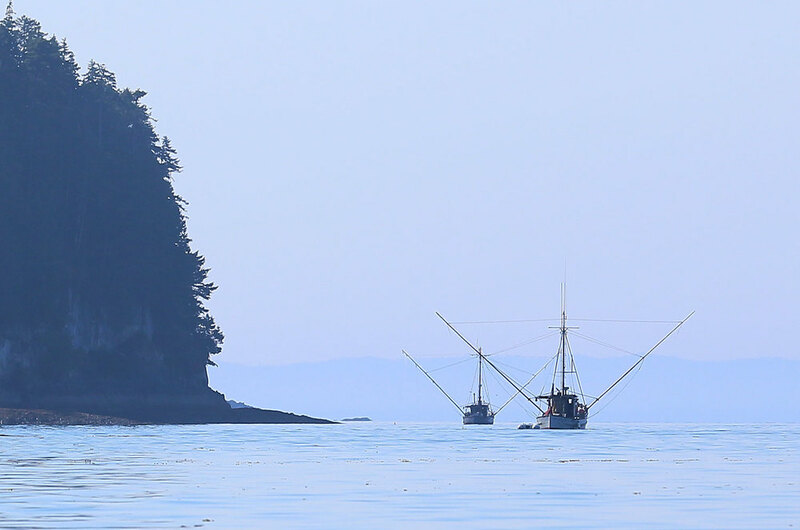 The gillnetter "Nordic Spirit" bringing in a nice silver salmon in Sumner Strait.